At Moshi, we strive to make products that surpass your expectations. Part of our commitment to make this happen is to use the finest components known by us and adhere to rigorous manufacturing standards. We guarantee that all Moshi products are free from physical defects in material and workmanship for a period of 1 year from the date of purchase, when used within the limits set forth in the User's Guide. This warranty does not cover damages resulting from accidents, abuse, misuse, or improper care, nor does it cover cosmetic damages due to normal "wear and tear" of the product. Warranty claims become void if the product is tampered with in any way. We reserve the right to revise or update the product, accessories, or documentation without obligation to notify any individual or entity. Due to international courier restrictions regarding lithium-ion batteries, Moshi may also restrict warranty service for IonBank, IonSlim, iGlaze Ion and IonSuit to the country where Moshi, or one of our authorized resellers, originally sold the product. If the product fails under normal usage, please contact customer support at support@moshi.com to obtain instructions on how to return the defective product to us for evaluation. Be sure to have your proof of purchase enclosed and please use the original packaging if possible; return requests cannot be processed without proof of purchase. We do not cover shipping, insurance or any import fees, duties and taxes for the returned product. If after inspection, we find the product to be defective in materials or workmanship, we will at our option and at no cost repair or replace the defective product with the same or a comparable product on a commercially reasonable efforts basis. In no event shall our liability exceed the price paid for the product. This warranty does not cover, and we will not have any liability to you for, loss, theft, or any incidental or consequential damages caused by using the product. This warranty gives you specific legal rights. You may have other rights depending on where you live. We make no other warranty regarding the products, and we disclaim all other warranties, express, statutory or implied, including any implied warranty of merchantability, fitness for a particular purpose, non-infringement, or arising from course of dealing or trade usage. This constitutes your sole and exclusive remedy, and our sole and exclusive liability, for breach of this warranty. You may extend your warranty coverage beyond one year via product registration. Moshi electronics, audio, cables and adapters are eligible for three-year warranty coverage; batteries and battery cases are eligible for two-year warranty coverage from purchase date when you register your product at moshi.com/register. Moshi bags, cases, and plastic film protectors are eligible for a limited lifetime warranty when you register your product at moshi.com/register, subject to the terms and conditions of the limited lifetime warranty info below. Your extended warranty coverage is considered confirmed upon receipt of an email from support@moshi.com that says "thank you for registering." The extended warranty for such products encompasses and is subject to the same rules, restrictions, and disclaimers as provided in our standard one-year warranty section, above. This warranty applies only to and extends for the lifetime of the first purchaser or gift recipient of the applicable Moshi product and is not transferable. All Moshi products undergo stringent quality control testing. They are warranted to be free from material defects when you return the product in accordance with this warranty and our instructions. This warranty applies to normal use for the intended purpose of the product, under normal conditions. This warranty does not cover damages resulting from accidents, abuse, misuse, or improper care, nor does it cover cosmetic damages due to normal "wear and tear" of the product. Warranty claims become void if the product is tampered with in any way. We reserve the right to make changes in design, materials, and specifications without obligation to notify any individual or entity. If the product fails under normal usage, please contact us for instructions on how to return the defective product. Be sure to have your proof of purchase on hand; return requests cannot be processed without proof of purchase. We do not cover shipping, insurance or any import fees, duties and taxes for the returned product. If after inspection, we find the product to be defective in materials or workmanship, we will at our option and at no cost repair or replace the defective product with the same or a comparable product on a commercially reasonable efforts basis. In no event shall our liability exceed the price paid for the product. This warranty does not cover, and we will not have any liability to you for, loss, theft, or any incidental or consequential damages caused by using the product. This warranty gives you specific legal rights. You may have other rights depending on where you live. We make no other warranty regarding the products, and we disclaim all other warranties, express, statutory or implied, including any implied warranty of merchantability, fitness for a particular purpose, non-infringement, or arising from course of dealing or trade usage. This constitutes your sole and exclusive remedy, and our sole and exclusive liability, for breach of this warranty. Moshi's glass screen protectors are made to be durable and will protect your device from mishaps. However, accidents happen and the product warranty does not cover damages due to normal "wear and tear" including breaking or cracking of the glass screen protector. If your iVisor Glass, AirFoil Glass or IonGlass cracks while in the line of duty, we offer you unlimited replacements for just £/€/$10 for normal size screens, and £/€/$15 for plus-size screens* per replacement unit. Think of it as an insurance policy for your Moshi glass screen protector. Save the broken product and email our customer service at support@moshi.com with proof of purchase and we will walk you through the replacement process. Only available in the US, Canada, and the EU. Shipping and handling may apply. You may extend your warranty coverage via Moshi's WarrantyPlus product registration program: moshi.com/register. 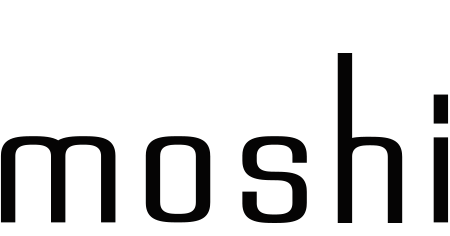 Moshi electronics, audio, cables and adapters are eligible for three-year warranty coverage; batteries and battery cases are eligible for two-year warranty coverage from date of purchase. Moshi bags, cases, and plastic film protectors are eligible for a limited lifetime warranty, subject to the terms and conditions of the limited lifetime warranty info below. WarrantyPlus coverage is confirmed upon receipt of an email from support@moshi.com that says "thank you for registering." This supplemental warranty coverage extends from the original date of purchase at www.moshi.com or your local authorized Moshi reseller. Make sure to keep your receipt or take a photo of it with your phone. In the event of a lost or misplaced receipt, default warranty coverage begins 3 months after the product was released in the region, determined by the scan date of the authentication sticker. The extended warranty for such products encompasses and is subject to the same rules, restrictions, and disclaimers as provided in our standard one-year warranty section, above. Please note that for products purchased through the Amazon.com online marketplace, only those items sold by authorized Moshi resellers are eligible for warranty coverage. For a list of authorized Moshi resellers on Amazon, please visit our Where to Buy page.